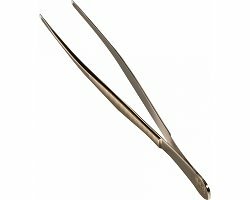 These tongs are fine quality products manufactured by Solinger. Every "De-Luxe" tong receives additional hand polishing on all 4 sides. De-Luxe version, straight, 15 cm. Etui included. BASIC Stockbooks 32 black pages.